With its metal frame and distressed, wooden shelf tops, this bookshelf skillfully blends two complementary materials. 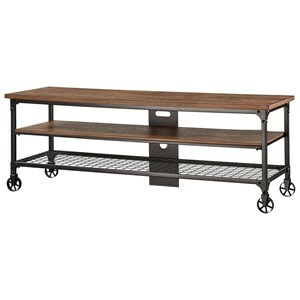 Its design also blends two styles, industrial and rustic, allowing this piece to fit into different decors while still bringing some of its own personality through its texture and metal details. 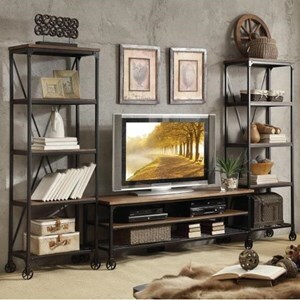 The shelving and casters make this bookshelf a functional choice as well. 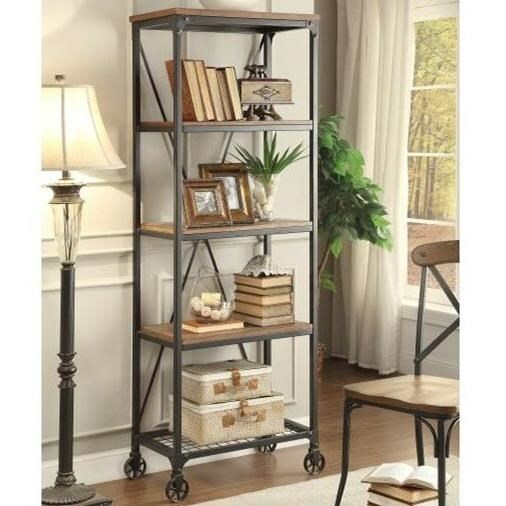 The Millwood Industrial Rustic Bookshelf with Casters by Homelegance at Value City Furniture in the New Jersey, NJ, Staten Island, Hoboken area. Product availability may vary. Contact us for the most current availability on this product.